Our Vanilla Bean Gift Set includes a Soap, Body Butter and Sugar Scrub. 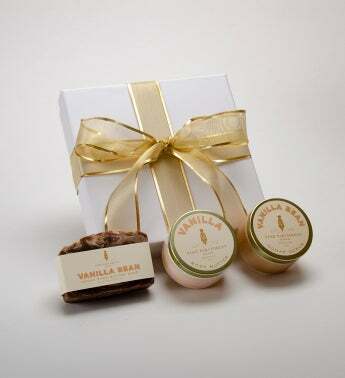 Perfect for Vanilla Lovers! This set is sent in an elegant gift box ready for gift giving.